​On March 29th, Votorantim Cimentos signed the "Open letter to Brazil on Climate Change", in an initiative of the business sector, led by Instituto ETHOS, in the challenge of climate change. In this document, the companies assume a set of commitments, including the reduction of carbon emissions. "The commitments defined by the letter are aligned with Our Commitments for 2020 and represent an opportunity for Votorantim Cimentos to positively influence the national agenda on climate change" - Álvaro Lorenz, Technical Director of Votorantim Cimentos. 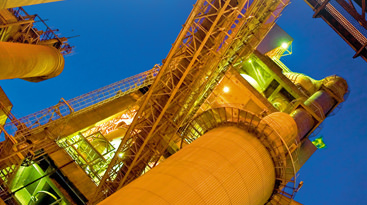 Votorantim Cimentos play an important role on emissions reductions in the business sector, with the substitution of clinker by others as slag, pozzolan and ashes, and in the substitution of fossil fuels (as petcoke) for tires and biomass. Votorantim Cimentos also participate in the agreement set on COP 21, the global conference for climate of the United Nations (UN), it took place in December 2015, in Paris. In this agreement, the countries commit to adopt actions that contributes to limit the temperature raise at 2Cº. The largest cement industries signed the document about low carbon technology. In the occasion, Brazil offered to contribute with the adoption of several initiatives to reduce its impacts on climate, one of them is the São Paulo State Climate Protocol, in which we were evaluated with the maximum score.
" For us sustainability means meeting our growth ambitions while considering the current and future needs of society, by offering eco-efficient and innovative building materials and services to our customers, acting ethically and transparently in accordance with the law and regulations, providing an inspirational, healthy and safe working environment for our employees and supporting our communities, so they can thrive. Guided by these commitments, we will continue to create value for our stakeholders" – Walter Dissinger, Votorantim Cimentos CEO.